CarGurus has 224,405 nationwide F-150 listings starting at $1,400. Powerful engines, competent suspension packages and a slick interior make the 2011 Ford F-150 a perfect choice for a work truck that can still be presentable. Wind and road noise can get tiring in the 2011 F-150, especially when combined with the ever-present and never quiet growl of the 6.2-liter engine. It's hard to argue with a vehicle that was America’s best seller for almost a quarter-century, not to mention the best-selling truck for 34 years. You can’t go wrong regardless of engine choices, so all you need to decide is what options and features meet your needs. Luxury 4X4 or construction site workhorse, the F-150 is truly a versatile beast. Say hello to the F-150 Mustang. Ford put a lot of work into its mid-cycle refresh, and that means four new engines for the F-150. Two of them are modified versions of the powerplants that made such a splash for the Mustang last year, and that means the F-150 now comes with an anything-but-base V6. In fact, there are two V6 offerings in the lineup, including a new EcoBoost twin-turbo V6 that produces enough power to shame the two remaining V8s in the lineup. Otherwise there’s nothing new for the F-150, still offered with its range of cabs – Regular, SuperCab and SuperCrew – and three available bed lengths: 5.5, 6.5 and 8 feet. The F-150 has ten distinct trim levels, including special edition offerings like the Harley-Davidson and SVT Raptor Trims, and most come with the choice of RWD or 4WD with low-range gearing. The F-150 hasn’t seen a V6 in its lineup since 2008, but that all changes here with two incredible V6 options. The base engine is a modified version of the 3.7-liter V6 that made so much press when it was introduced in the Mustang at the 2009 Los Angeles International Auto Show. It was touted as the world’s first production engine to produce more than 300 hp and still return more than 30 mpg. This aluminum engine has twin independent camshaft timing and a 7,000-rpm redline, but is slightly detuned from its Mustang application to concentrate less on revs and more on low-end grunt. It’s good for 302 hp peaking at 6,500 rpm and 278 lb-ft of torque at 4,000, as opposed to the outgoing 4.6-liter V8’s 248 hp and 294 lb-ft of torque. That’s good enough for a maximum towing capacity of 6,100 pounds and will still return an estimated fuel economy of 17/23 or 16/21 mpg in RWD and 4WD configurations. But if a V6 isn’t enough to satiate your masculine needs, you do have options. 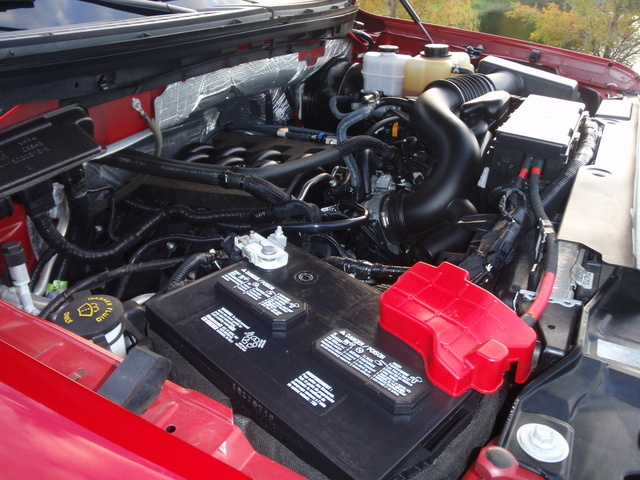 The second of the Mustang engines appropriated is the venerable 5.0. It’s not the same 5.0 that powered your Dad’s Fox body however, as this one has an aluminum-construction, 4-valve per cylinder DOHC design and twin independent variable cam timing. Producing 360 hp at 5,500 rpm and 380 lb-ft of torque at 4,250, it’s a stout V8 capable of yanking around a full 10,000 pounds. Fuel economy dips a bit here, with 15/21 for RWD versions and 14/19 for 4WDs. But wait, there’s more. A 6.2-liter, SOHC “Boss” V8 is the top V8 option, a monster of a mill that pumps 411 hp and 434 lb-ft of torque at 5,500 and 4,500 rpm. Add that up and you get 11,300 pounds of towing capacity. You’d never think it, but that matches the towing capacity of the other V6 option for the F-150. Here, an EcoBoost 3.5-liter V6 has had twin turbochargers slapped onto it, and it's been fitted with direct injection as well. That means 365 hp at 5,000 rpm and 420 lb-ft of torque that shows up at only 2,500 rpm. Best of all this means an EPA-estimated fuel economy rating of 16/22, falling just under the 3.7-liter V6’s best rating, well above the 13/18 and 12/16 ratings for the “Boss” 6.2 in RWD and 4WD configurations. All engines come with a 6-speed automatic transmission that has been praised for both its quickness and the smoothness of its shifts. F-150s equipped with 4WD have a low gear for off-road use, but cannot leave the 4WD system engaged on dry pavement. The F-150 handles typically for a pickup, with considerable stiffness and rear-end hop, especially in corners. Bumps and ripples travel straight through the vehicle, announcing themselves in the steering wheel, chassis, etc. Still, the F-150 is not worse than any competitors, and perhaps even a bit better, with crisp and responsive handling and stock suspensions that won’t rattle the fillings from your teeth completely. Off-road oriented trims like the FX4 and the Raptor have a locking differential and unique suspensions that beg to eat up rough terrain but can make things a bit more jittery on the road. Special consideration should be given to the V6 engines, as they balance the typically nose-heavy F-150 much better than the V8 options, eliminating some porpoising in turns. Ford has made an attempt to remove a lot of the “pickup truck” feel from its best-selling pickup. As a result, the cabin has gotten a lot more car-like in recent years. Some take issue with the smaller gauges and excess accents in the higher trims, but the more mundane trim levels have a much more reserved and even stark feel to them. The LCD screen is quite readable, even in direct light or through polarized lenses, and the optional navigation system thankfully fails to absorb and therefore complicate simple functions like audio and climate controls. Once you move into trims like the FX2/4, you’ll be welcomed by upscale features like bucket seats, satellite radio and Bluetooth, while the special trims like the Lariat will add things like leather upholstery, automatic climate controls, an upgraded power package and voice recognition. The King Ranch will even add a rear-obstacle detection system – helpful for avoiding unseen bumper benders with this tall truck – remote start and heated and cooled front seats. 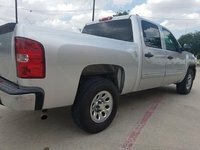 The Platinum trim gets unique aluminum accents but also power-retractable running boards to ease exit and entry, while the Lariat will give you a sport suspension, limited-slip differential, 22-inch alloy rims and a navigation system with traffic information and hi-def radio. The Raptor is the serious off-road package, with a sport off-road suspension, locking differential, skid plates, running boards and the venerable 6.2-liter “Boss” V8. The Ford F-150 has not yet been rated by the National Highway Traffic Safety Administration (NHTSA), but as only engines have changed for this mid-cycle refresh, 2010 statistics can be taken into account. That said, the NHTSA has introduced new standards, so previous years’ ratings won’t compare directly. Owners are very pleased with a wide range of powerful and refined engines offered in the 2011 Ford F-150, especially with the introduction of the 3.5-liter EcoBoost. With towing capacities meeting or exceeding 10,000 pounds for three of four engines, there’s little wonder why. There has been noted praise for the interior design and instrument layout, although some find the audio and climate controls a reach too far. Special editions like the Raptor and Harley-Davidson always get special attention if not impressive sales, and the optional navigation system has been praised as one of the best in the industry. 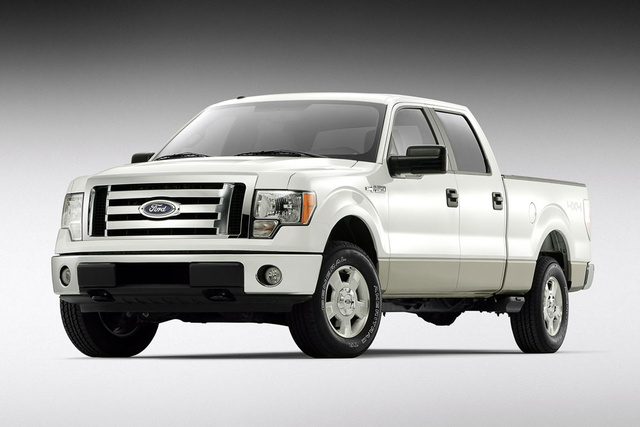 What's your take on the 2011 Ford F-150? 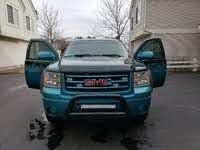 GuruVK7VN I absolutely love our flame blue 4 X 2 V6 which now has 7900 mi., and gets compliments almost daily. I may drive it until death. 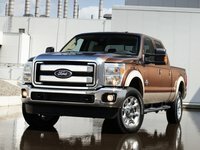 Users ranked 2011 Ford F-150 against other cars which they drove/owned. Each ranking was based on 9 categories. Here is the summary of top rankings. 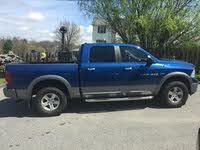 Have you driven a 2011 Ford F-150? How Do I Cancel My Account And Listing?